It’s a tale of two fighters on very different career paths. On one side of the cage stands a prospect on a meteoric rise. On the other side, a fighter who was once bound for contender status, but who now just wants to right the ship and find consistency in his MMA career. 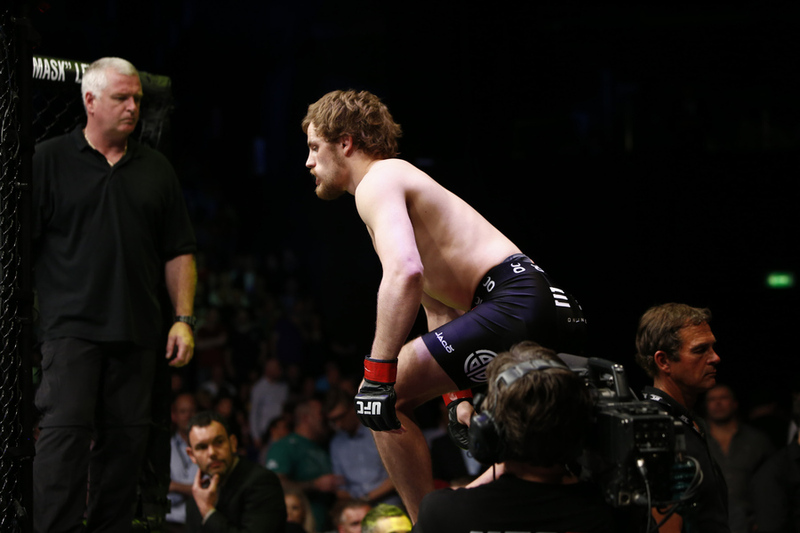 The man on the rise is Gunnar Nelson. The 26-year-old Icelandic fighter entered the UFC in 2012 with a 9-0-1 mark. He was introduced to the UFC’s fanbase in a contest against DeMarques Johnson. Johnson lasted just three and a half minutes with Nelson before succumbing to a rear-naked choke. Next up for Nelson was Jorge Santiago. Santiago lasted a full three rounds, but Nelson took the unanimous decision. Then came Omari Akhmedov, and then Zak Cummings. Both men stepped into the cage with Nelson only to walk away with submission losses. With a perfect 4-0 mark inside the Octagon, Nelson sees a promotion to the headlining spot on the card. 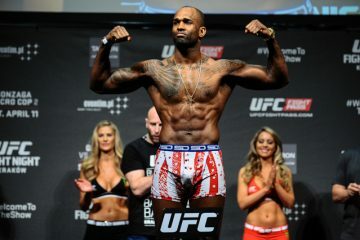 What he seeks is a victory that will move him one step closer to a title bid in the UFC’s welterweight division. Standing in Nelson’s way, there’s Rick Story. The 30-year-old was once a borderline contender in the UFC’s welterweight division. 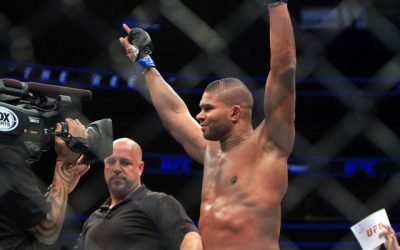 Entering the UFC with a 7-2 mark in 2009, Story fell short in his Octagon debut, only to rebound with six straight wins. Then, it all crumbled. First came a surprising loss to Charlie Brenneman, and then another loss, this time to Martin Kampmann. From there, Story would go on to win a fight, then lose a fight, and so on for the next two-plus years. By way of his current trend, Story is due for a loss against Nelson. But maybe, just maybe, Story can snap out of his funk and seize the high-profile opportunity in front of him to come up with an upset win. The two men collide in the main event of an all-Fight Pass lineup set for UFC Fight Night 53 at the Ericsson Globe in Stockholm, Sweden on Oct. 4. The action kicks off with the seven-fight preliminary card at 12:10 p.m. ET and continues with the four-fight main card at 3 p.m. ET. 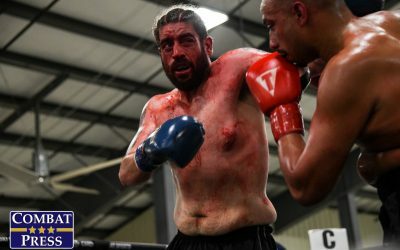 In this edition of Toe-to-Toe, Bryan Henderson is joined by the most recent addition to the Combat Press, Aaron O’Brien, for a preview of the entire card. Rick Story started off his UFC career with a 6-1 run, but he hasn’t put back-to-back victories together since 2010-11. Now, he’s headlining a card opposite undefeated welterweight Gunnar Nelson. Is this a showcase fight for “Gunni,” or can Story derail Nelson’s hype train? O’Brien: Story was once a formidable, nearly unstoppable welterweight when he first arrived on the scene. He earned a big win versus Thiago Alves and even a very impressive decision victory against current welterweight kingpin Johny Hendricks. It is unknown what really caused the drop in form—whether it was a hint of complacency settling into the then 27-year-old or possibly some personal issues. Whatever it was, it certainly hindered his performance throughout the next three years of his career and it remains an issue even to this day. He has had a fairly rocky few years, winning one then losing one continuously to guys who are not near the level of guys he was previously beating. However, he didn’t beat Hendricks and Alves by luck, that’s for certain. 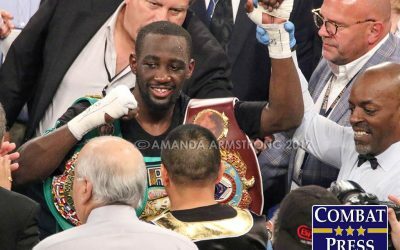 He has the capabilities of reaching that form once again, but it will not be easy in what is now a stacked welterweight division. Although it may be an unpopular opinion, I, for one, am picking Story to have a lot of success in this bout. His gritty wrestler mentality and relentlessness with his attack on the feet will get him far, but not quite far enough. In a three-round fight, I might well have gone with Story in this match-up, as crazy as that sounds, but with the contests being a five-round affair and with Nelson’s effectiveness in three-round fights, I expect it to be a long night for the American after maybe two rounds. Nelson tends to set a rhythm from the very start in his fights, but due to Story’s style I don’t expect it to be that easy. It may take “Gunni” one or two rounds to really get a feel for Story, but other than a possible slow start, I don’t feel Nelson will have many problems here. Nelson will get the finish late. Henderson: Story has the perfect dose of legitimate skills to make him a headliner and potential threat against Nelson. That’s what makes this a special kind of showcase fight. Nelson is far from a guaranteed winner, but he will certainly head into this fight as a favorite. Furthermore, he has the opportunity to show just how good he really is against a fighter who does hold that significant win over Hendricks, the reigning champ. Calling Story’s road a rocky one is a bit of an understatement. He traded in that 6-1 run for a stretch where he has gone 4-5. Forget rocky road, that’s more like driving down a clear road and getting run over by a boulder. Story suffered back-to-back losses to Charlie Brenneman and Martin Kampmann. He beat Brock Jardine, but then lost to Demian Maia. 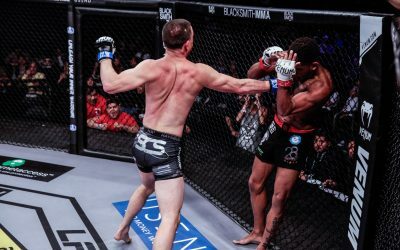 He beat Quinn Mulhern, but turned around and lost to Mike Pyle. He beat Brian Ebersole, then lost to Kelvin Gastelum. Most recently, he defeated Leonardo Mafra. There was a time when Story could beat fighters on the level of Hendricks and Alves in the UFC, but that time seems to have become nothing more than a distant memory. Now, he’s trending toward defeating the lowest ranks of the welterweight division while falling to anyone even remotely considered to be a contender. Story is a tough grinder, but he’s fighting a guy who is a world-class grappler and a skilled striker with a karate background and a somewhat unorthodox stand-up style. Nelson also happens to fall into the same group of fighters as Gastelum, Maia and Kampmann—in other words, a contender. Story isn’t derailing this hype train in any way, but simply providing a quality opponent against whom Nelson can shine. Max Holloway has been in the UFC since 2012, but he has yet to climb into contender status. 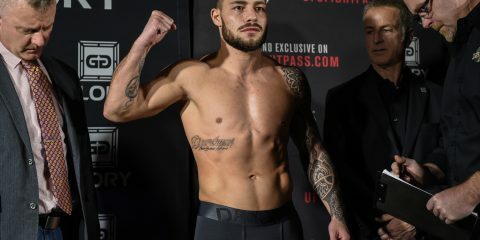 However, the 22-year-old has won his last three fights and is slated to meet Akira Corassani, a fighter with a 3-1 mark inside the Octagon, in the evening’s co-headliner. Can Holloway continue his recent trend of success and turn himself into a relevant fighter in the UFC featherweight division’s upper echelon? Henderson: It’s hard to believe Holloway is just 22. It seems like he’s been in the UFC forever, but this is a kid who was just donning his cap and gown for high school graduation in 2010. He put together four victories as a pro fighter by the time he was 19, then entered the UFC as a 20-year-old. Now, at age 22, he already has nine Octagon appearances under his belt and six UFC wins to show for that experience. Despite his extended UFC run, Holloway has really had trouble gaining traction as a possible contender. Perhaps it’s the Hawaiian fighter’s propensity to lose the big fights. He lost his Octagon debut to Dustin Poirier, now a top-10 fighter in the UFC rankings. He rebounded with three wins, although he was nearly edged by Leonard Garcia in a close fight. Then, he was knocked down a few pegs with a split decision loss to Dennis Bermudez, who now stands at No. 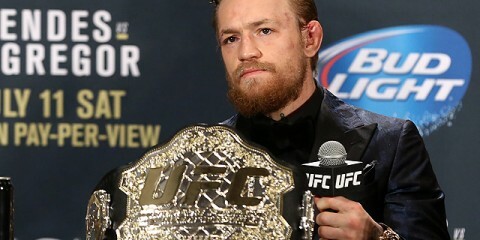 7 in the UFC rankings, and Conor McGregor, who now holds the No. 9 spot in the UFC rankings. 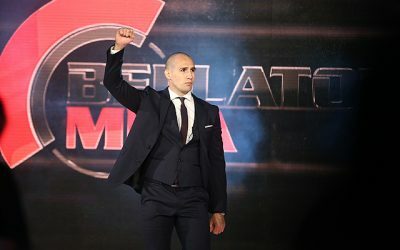 Three more wins against lower-level competition, and here we are again, discussing whether Holloway is capable of breaking through the invisible wall that has kept him on the outside of the top 15. Corassani is an interesting next step for Holloway. The Swede has knockout power and the ability to win fights on his feet or on the ground, but he struggles to finish fights and falls victim to mental lapses. He barely eked by Dustin Neace during The Ultimate Fighter 14 (and might have even tapped to a submission during the bout) and lost his subsequent semifinal bout to Dennis Bermudez via submission after controlling the action early in the contest. He squeaked past Andy Ogle in his Octagon debut and claimed one of his UFC wins on a disqualification. 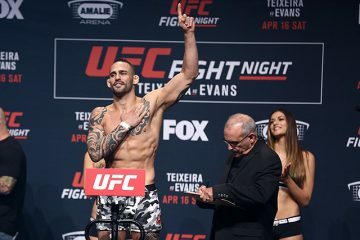 In his most recent loss, which came against Poirier, Corassani was fighting a competitive fight before almost getting submitted to end the opening frame and then suffering a TKO loss just 42 seconds into the second stanza. On paper, Corassani is a competitive fighter, but he’s a test Holloway should pass. The Hawaiian will enjoy a three-inch advantage in height and reach, and his stand-up skills are superior to what Corassani has to offer. Corassani has the ability to drag fights out and go the distance, so Holloway is probably going to have to settle for the decision win here. It’s a good next step for Holloway, but the young fighter still has a lot to prove. His track record so far suggests that he’ll settle in nicely as a gatekeeper to the division’s top tier, but this is a very young fighter we’re talking about. He’s still learning and improving, so there is a chance that he could flirt with contendership—or, at the very least, a spot in the top 15—within the next year or so. O’Brien: Holloway has been improving steadily but surely ever since moving into the big league. The Hawaiian has racked up wins versus not-so-elite competition and has lost a few, too. Those losses, however, are nothing to laugh at. They’ve come against the likes of the aforementioned McGregor, Poirier and Bermudez, all elite featherweights in their own right. To put a valiant effort against all three at Holloway’s age is quite an achievement in itself. After losing to McGregor in August 2013 in what was one of the most highly anticipated bouts on the UFC Fight Night 26 card, Holloway looked to get back to his winning ways when he traveled to Singapore for the UFC’s first-ever Fight Pass event. He did so in spectacular fashion by knocking out Will Chope inside the first round. Following that win, he went on to defeat Andre Fili at UFC 172. Then, last month at UFC Fight Night in Tulsa, Okla., he wrapped up an impressive decision victory versus a late replacement. Corassani has been very impressive in the UFC of late despite losing to Poirier, one of the best at featherweight. He’s a strong guy with knockout power in both hands—he almost knocked out Poirier back in April. Corassani is a stiff enough test for the Hawaiian, I, too, see it as a test he should pass with flying colors. I expect him to enter the top 15 of the division with his fourth consecutive win of 2014. His height, reach and Muay Thai attack will be too much for Corassani. Niklas Backstrom made his UFC debut with a first-round submission of top prospect Tom Niinimaki. 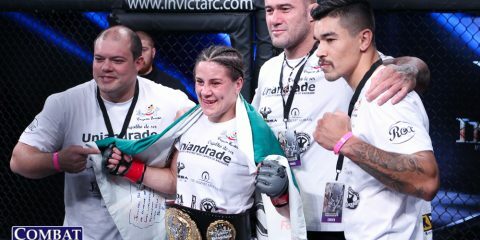 Is the featherweight the next big thing from the Allstars Training Center camp, which has already produced Alexander Gustafsson? O’Brien: Backstrom has made quite the impression since making his UFC debut back in May in Berlin. The Swede not only got off to a fantastic start in his career with the UFC, but he also delivered a very memorable post-fight interview with Dan Hardy. The Swede has a lot of potential. His submission of such a highly touted prospect as Niinimaki, especially in the fashion in which it came, was spectacular. Not many knew what he was about when he arrived on the scene, but one thing is for sure: a hell of a lot of a lot more people know him now. He even got a spot on Ariel Helwani’s “The MMA Hour” shortly after his fight, something which has pretty much never happened for a debutant. I see this fight going one way and one way only. Given Mike Wilkinson’s past difficulties with the better grapplers of the UFC, and Backstrom’s level of grappling, I see Backstrom taking it to the ground and getting the finish. Do not miss Backstrom’s post-fight interview if he does indeed win. Henderson: Gustafsson is leaps and bounds ahead of his Allstars teammates right now in terms of status within the UFC, but Backstrom is off to an exceptional start. Niinimaki had already impressed in his own UFC debut against Rani Yahya, and yet Backstrom made Niinimaki look completely overwhelmed by the end of their fight. This Swede could be poised for a great run. What impresses me most about Backstrom is his ability to submit a high-level grappler. Backstrom’s resume didn’t suggest a grappling-oriented approach, but the featherweight used his ground game like a secret weapon in that debut performance. His history of TKO finishes suggests he has the all-around game to give opponents severe headaches. Wilkinson lost via submission in his Octagon debut against Rony Jason, but the English fighter also relies heavily on his own grappling prowess to get wins. That doesn’t bode well for him coming into a fight with someone who just made Niinimaki look unprepared on the mat. If Jason could tap Wilkinson, Backstrom is likely to do the same. With his personality, Backstrom gives the UFC a potential star in the making for its European trips. However, it’s Backstrom’s actions inside the cage that do the real talking. Thus far, those actions point to a promising future featherweight title challenger. Cathal Pendred fights Gasan Umalatov on UFC Fight Night 53’s Fight Pass undercard prelims. Pendred was highly touted coming off The Ultimate Fighter 19 and the former Cage Warriors welterweight king will be looking to add a win at welterweight this Saturday. How far he can go in the UFC? Henderson: Pendred entered TUF 19 as my clear favorite to win the whole thing, but he failed to deliver. 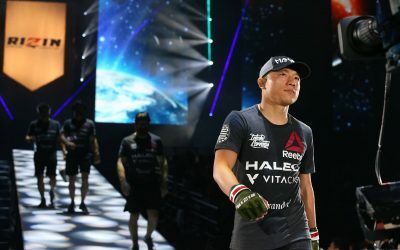 In the process, he raised some major concerns that he wasn’t able to quell in his performance against Mike King in July in both fighters’ UFC debuts. Pendred came out with the win over King, but he took one hell of a hard path to victory. He was rocked several times early in the fight and controlled against the cage. Minus the “Fight of the Night” antics that garnered Pendred a bonus check, it looked awfully similar to the losing effort Pendred put on against Eddie Gordon during The Ultimate Fighter. Now, granted, both the King fight and the Gordon fight took place at middleweight, so there’s a chance we see a completely different Pendred in the cage in Sweden. Maybe he won’t get muscled around quite as much, and perhaps his striking will have more pop. However, he’s not fighting a walkover opponent in Umalatov. This is a guy with a Master of Sport in wrestling, and a background that includes striking and grappling arts. Umalatov is going to hunt for takedowns and look to impose his will over Pendred on the mat. Pendred has good size for a welterweight. He’ll stand three inches taller than Umalatov and could use his striking to get the victory, but he doesn’t keep opponents at range, which could be to his detriment against a wrestler. Umalatov is likely to take down Pendred and submit the Irishman. It’s a series of events that will become familiar to Pendred as he progresses in his UFC career. He’s certainly capable of winning enough fights to stick with the promotion, but he’s probably going to suffer a fair amount of stumbles that prevent him from reaching a championship level with the promotion. O’Brien: Pendred entered The Ultimate Fighter 19 coming off a win over UFC veteran Che Mills in his last defense of the Cage Warriors welterweight championship. 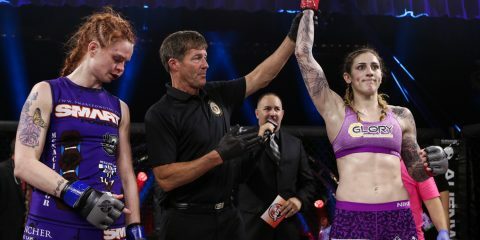 However, he failed to make any real noise in the competition, looking fairly average for the most part and having difficulty in his elimination round fight against Hector Urbina before ultimately losing to Gordon in the semifinals. Some of that may well be due to the fact that he was in the wrong weight class. Given the size edge his opponents held, Pendred never really had the opportunity to demonstrate what he’s capable of doing in the cage. There was a big difference in his performance at middleweight in the competition compared to his welterweight fights in Europe for Cage Warriors. Regardless of weight class, Pendred struggles when the takedown isn’t there. His hands, while still developing, are simply not good enough to stand with the majority of the top 20 UFC welterweights. O’Brien: The sleeper match-up on this card is the welterweight match-up between Ireland’s Cathal Pendred and strong Russian wrestler Gasan Umalatov. Pendred, a contestant on The Ultimate Fighter 19, was a standout on the reality show. He was highly touted coming into the competition, but he lost in the semifinals. However, he was competing in an unnatural weight class, which makes his showing more impressive. 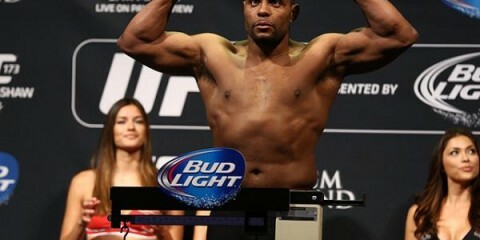 This will be the first time we see Pendred compete at his natural weight inside the UFC Octagon. Welterweight is the division where he won the championship in Europe’s biggest MMA promotion, Cage Warriors. If that isn’t enough to make you interested in this fight, then go to Fight Pass and re-watch his fight with Mike King at this past July’s UFC Fight Night in Dublin, Ireland. Pendred showed incredible heart after surviving an unforgiving beatdown in the first round to come back and earn a submission finish in the second. Watch that bout, then tune into Fight Night 53 to see if Pendred can get past Umalatov. Either way, this is a fight not to be missed. 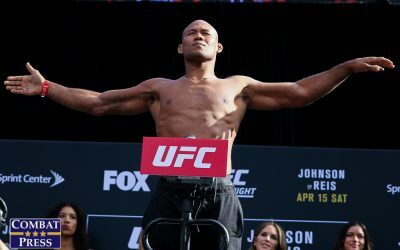 Henderson: Usually, my picks for sleeper fights dig deep into the preliminary card, but for this event I’m turning my attention to a main-card contest that hasn’t been mentioned yet. That would be the UFC debut of Polish favorite Jan Blachowicz. The KSW veteran matches up against Ilir Latifi, a fighter still trying to establish himself as more than just an odd choice of opponent for Gegard Mousasi’s own Octagon debut. Blachowicz, a former KSW light heavyweight champion, is returning to action after a year and a half layoff. He has an interesting resume, though. His time in KSW was the equivalent to fighting at the lower levels of the UFC. 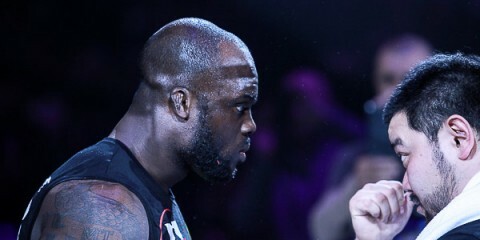 He met and defeated UFC veterans Rameau Thierry Sokoudjou (avenging a previous loss to the Pride vet), Mario Miranda, Houston Alexander and Goran Reljic over his last four bouts. Those fights all went the distance, an oddity for a fighter who typically finished his opponents. The 31-year-old has a lot of potential, but he’s suffered a couple losses to questionable competition. Latifi, meanwhile, is yet to really carve his own niche within the UFC. He’s still that guy who lost to Mousasi, not that guy who destroyed Cyrille Diabate and Chris Dempsey in the first round. Should he defeat Blachowicz, he won’t exactly turn heads of casual fans, but he’ll make believers out of those who view Blachowicz as a top European fighter. Latifi, also 31 years old, has a strong mix of striking and submission skills that make him a threat to his Polish foe regardless of where the fight is contested. This fight has the ability to define Latifi’s future inside the Octagon and introduce a wider audience to one of the bigger names to come out of the KSW organization. So, who makes the bigger statement? Well, that’s what makes this a fight to watch. Henderson: Red Bull. Yes, it’s not the most desirable drink in the world, but you’re going to need a boost of energy to get through a marathon day of fights. UFC Fight Night 53 starts at 12:10 p.m. ET and the main card kicks off at 3 p.m. ET. With that schedule, the main event is going to be wrapping up not all that long before the first preliminary fight of UFC Fight Night 54, which starts at 7 p.m. ET. 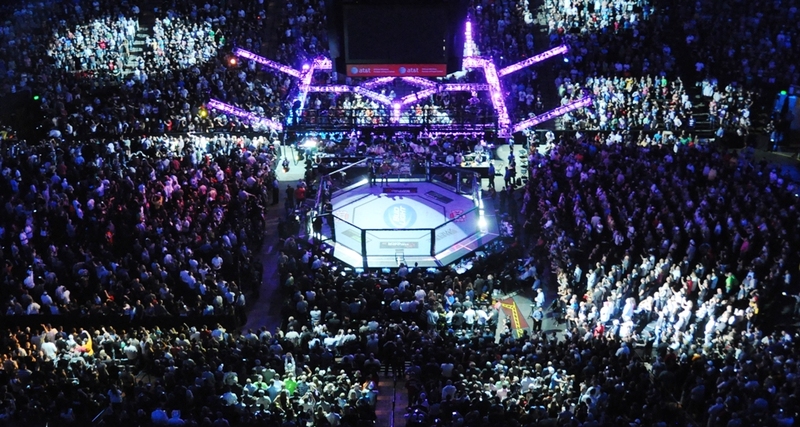 The UFC Fight Night 54 main card doesn’t get underway until 10 p.m. ET and features six fights, putting the estimated finish time at approximately 1 a.m. ET on Sunday morning. Yes, that’s right, we could be talking about nearly 13 hours of fights. So, get those energy drinks out. As an added bonus, Oct. 4 is also National Vodka Day here in the United States, and Red Bull does make a convenient mixer. O’Brien: Energy food. I, for one, will most likely be eating dinner when the card is starting. It starts at 5:10 p.m. here in Ireland, and or that I’m very thankful. UFC events are usually on at crazy times here in Europe. That doesn’t change, however, since UFC Fight Night 54 follows on the same day. So, with a full day of fights, I suggest a lot of energy foods to keep you going. It won’t be easy.